Hero The Calf is as brave as his name suggests. After being rejected by his mother at birth, the calf was neglected by his original owners, then left outside to freeze shortly after he was born last winter. Fortunately, Hero survived four days of laying frozen to the ground in a Virginia field. Unfortunately, he endured severe frostbite and had to have both of his back hooves amputated. But, thanks to a team of veterinary surgeons in Texas, Hero is able to walk again. At the start of the year, vets at the Texas A&M College of Veterinary Medicine Large Animal Hospital outfitted Hero with a pair of prosthetic legs, making him the hospital's first bovine recipient of such technology. Ashlee Watts, one of the vets who performed surgery on Hero, says the calf is on an impressive path to full recovery. "He's been in these prosthetics since the first of the year and he's doing very well in them," Watts told KBTX. "He's up and walking around, lays down, eats his hay, chews his cud just like a normal cow." Kitty Martin, who runs Selah Ranch All Animal Rescue and rescued Hero in November, is also thrilled at the calf's progress. Before bringing him back to Texas, where she has plans to move Selah Ranch, Martin attempted to nurse Hero back to health in Virginia. 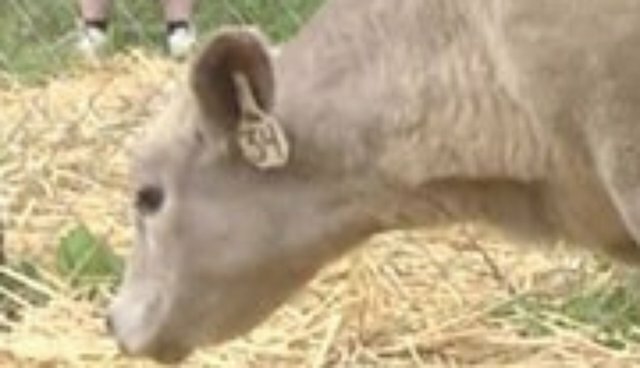 The calf was in such dire condition, however, that he ended up in the ICU for several days before his first round of surgeries. "I'm amazed and I'm pleased," Martin said of Hero's recovery, telling KBTX that she thinks the calf will have a bright future helping others in need. She hopes Hero will become a "therapy cow" for wounded veterans and children with special needs after he leaves the hospital later this week, as his spirit and endurance might inspire others to persevere. "This little calf... refuses to give up," Martin said in a statement. "That is why I have never given up on him, and never will."